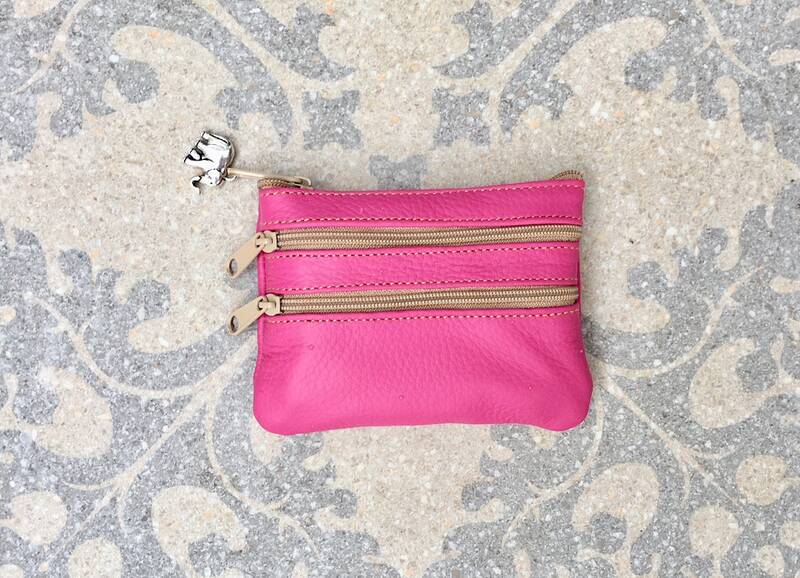 Small purse in HOT PINK . 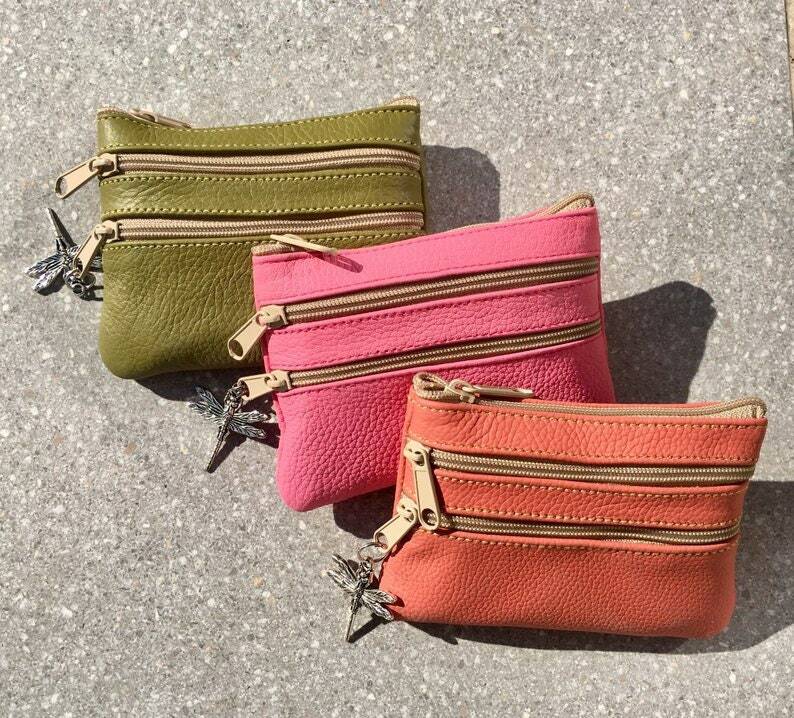 Genuine leather, 3 zippers. 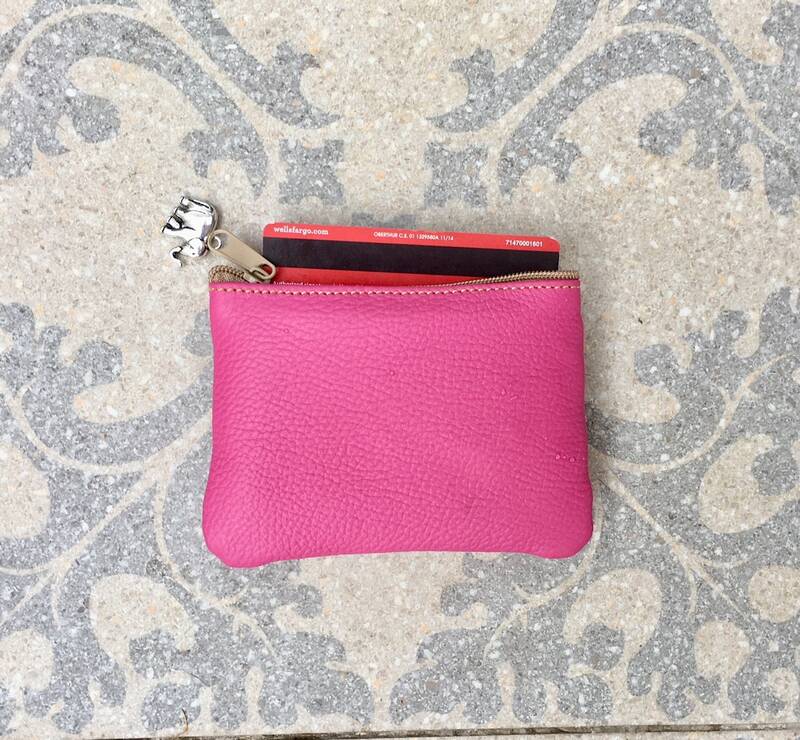 Fits credit cards, coins, bills. 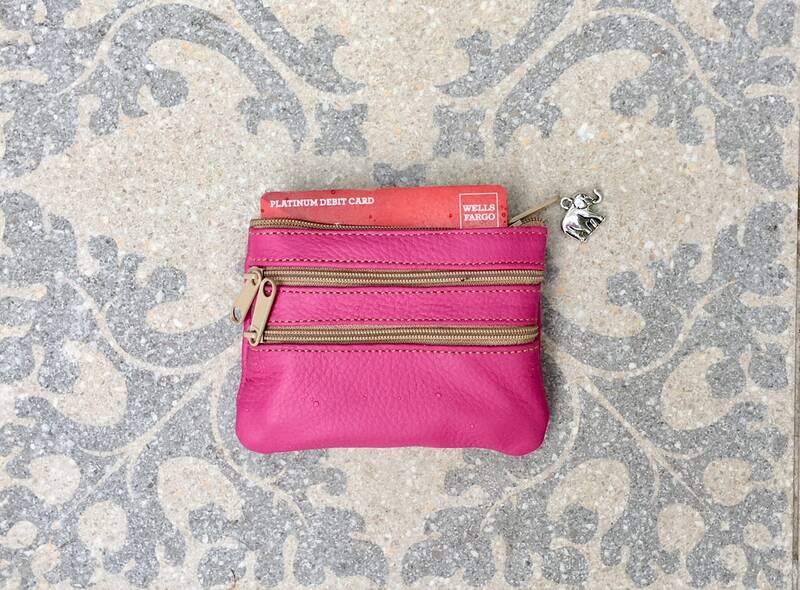 MAGENTA color leather wallet.